The Harrison and Trad Academy are proud to present an Old Time fiddle workshop and concert from champion American fiddler Aaron Jonah Lewis and Luke Richardson. 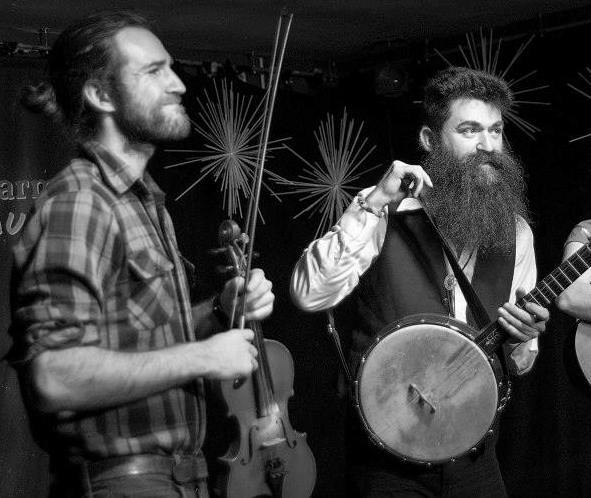 In this hour long workshop Aaron Jonah Lewis and Luke Richardson will teach old time fiddle by ear. The “old time” fiddle styles of the Appalachian mountains are characterized by their syncopated bowing patterns and driving rhythms. There’s some nice videos of old time players here. Aaron says he promised to include at least one “fancy technical aspect” that can be used in a tune and as anyone who’s seen Aaron play will attest he’s a real life virtuoso so it should be fun. This workshop is aimed at people who can already play their fiddle/violin but will be taught by ear so you don’t need to read music. The workshop will be followed by a gig by Aaron and Luke in the Harrison basement. Aaron Jonah Lewis is a multi-instrumentalist, performer and educator. He has won awards at the Clifftop Appalachian String Band Festival, including First Place Neotraditional Band in 2008, and at the Galax Old Fiddlers Convention, including First Place Bluegrass Fiddle in 2007, and he has performed at major festivals from the US to the UK and from Italy to Finland. Aaron has appeared on dozens of recordings from bluegrass and old time to swing jazz, modern experimental and Turkish classical music projects. He has taught workshops at the the Royal Scottish Academy of Music and Drama in Glasgow and at the English Folk Dance and Song Society in London. He also plays and teaches banjo, mandolin, guitar, and bass and is currently based in Detroit. Here’s a video of Aaron Jonah Lewis playing banjo with Trad Academy founder and tutor Ed Hicks. Luke Richardson is best known as a clawhammer banjo player, but he also plays old time fiddle and will be assisting Aaron in the teaching of this workshop. Luke’s music rolls with the arresting and subtle beauty of the hills around his family’s farm in Lawrenceburg, Tennessee. With an intuitive ability to match the fiddle, Luke manages to push the music along with grace, ease and remarkable drive. His banjo playing has earned him a National Old Time Banjo Championship and a handful of blue ribbons. 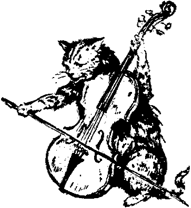 Currently residing in Brooklyn, he is an in-demand old time musician. Here’s a video of Luke playing banjo with Joseph Decosimo as the Bucking Mules. Beautiful banjo playing.